Each membership includes a 10% discount in the Museum Shop and a subscription to the newsletter, “Around the Reservoirs”. Read about the different membership levels below, then make the selection that’s right for you on the right side of this page. All of the above benefits extended to two people residing in the same household. All of the above benefits extended to children in the household under 18 years old. All of the Family benefits plus an invitation to a special higher category member’s only reception. All of the above benefits plus a private tour of the new Museum and a set of special Museum note cards. All of the above benefits plus a surprise historical publication and a reproduced historical photo from the Museum’s collections. All of the above benefits plus a private Historian’s tour of the Museum’s archives and a choice of two free reproduced historical photos. 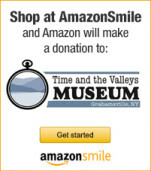 All Donor membership benefits, plus special Corporate Member recognition in the Museum. Please contact the Museum via the Contact Page if wishing to sponsor at this level. All of the above benefits plus the choice of two free reproduced historical photos. Please contact the Museum via the Contact Page if wishing to sponsor at this level.